The US will wake on Wednesday to the shock that Senator Bernie Sanders has upset Democratic frontrunner Hillary Clinton in the Michigan primary. The surprise probably will not derail Clinton’s journey to the nomination. However, it may be a marker of how Americans are upset with their governments and concerned about inequality — a discontent fed by a scandal over lead in the city of Flint’s water supply. As the US 2016 presidential election rumbles on, the city of Flint, Michigan has become a national symbol of inequality and government failure. 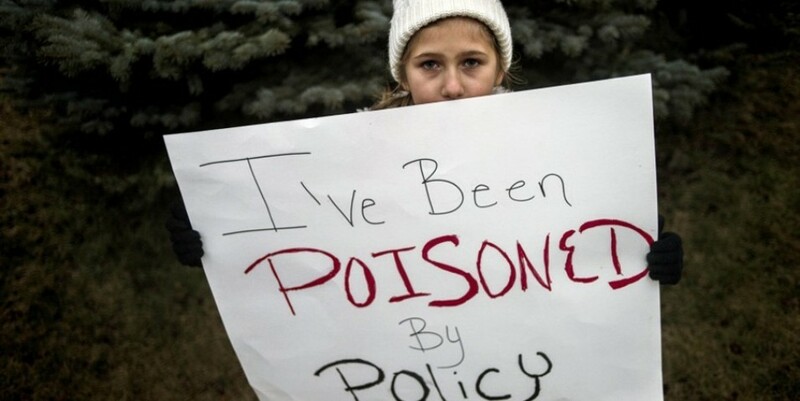 It first inadvertently poisoned thousands of its residents with lead in their water supply – including many children vulnerable to lasting developmental damage – and then responded to their complaints with a slowness that looks to many like sheer negligence. The seeds of disaster were sown in April 2014, when the city switched its water supply to draw from the Flint River while awaiting the completion of a new regional water treatment system. By switching temporarily to the river, it could begin saving immediately on the $21m cost of paying nearby Detroit for water, as it had done until that point. This decision was made in the context of a severe municipal financial crisis. After a long period of economic decline and falling population, the Republican governor of Michigan, Rick Snyder, had placed the city’s near-bankrupt finances under the control of an “emergency manager” with almost total power to implement cuts. There immediately were signs of serious problems. Residents complained that the water they were now receiving was discoloured and noxious. It turns out that there was indeed a serious threat to public health: the inadequately treated water from the Flint was so corrosive that it was eating into the ageing pipes delivering it to homes, allowing lead to enter the water at dangerous levels in some districts. Lead poisoning in children can cause irreparable and lifelong developmental problems, so speed was therefore of the essence in identifying the problem and warning those affected. Unfortunately, the state’s Department of Environmental Quality insisted for months that residents’ safety concerns were unjustified, and the state government downplayed the necessity of action even as complaints continued to pour in. The state only admitted there was a problem when outside scientists from the university Virginia Tech conducted a study that found dangerously elevated lead levels in homes. With the problem laid bare and any further denial untenable, the city switched its water supply back to Detroit, but it still cannot not guarantee the safety of water flowing through the damaged pipes, or if or when those pipes might be replaced. For the moment, the state has made water filters, bottled water, and testing kits available to residents. The long-term consequences of those poisoned during the extended period when action was delayed remain to be seen. The political fallout from the crisis has been substantial – and has also been sharply divided along party lines. 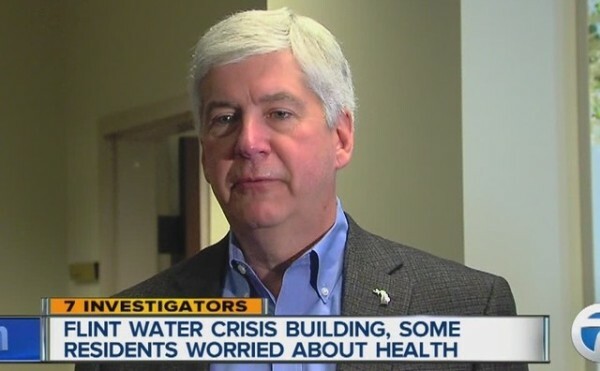 A number of state officials responsible for water safety have left their posts, but Governor Snyder has defied all calls to resign, accepting responsibility for addressing the crisis but not for causing it. How much he and his office knew about Flint residents’ complaints, when they knew it, and the extent to which evidence supported them remains a matter of claim and counterclaim. At the national level, the Republican candidates have sought to minimize comment and contact with the issue. In their most recent debate, held in Detroit, Senator Marco Rubio went so far as to say that “this should not be a partisan issue”, noting that he wanted to “give the governor credit” for taking responsibility for the issue, and criticising Democrats for “politicising” events in Flint. Both Democratic candidates, on the other hand, visited the city after the scandal broke – Hillary Clinton got there first, in early February — to show solidarity with those affected. In their debate in the city on March 6, both Democratic candidates embraced the outrage of Flint residents at the way government had failed them, and called for the governor’s resignation and a no-expense-spared approach to rectifying the ongoing problem. These starkly contrasting responses from the parties reflect the same dynamics that likely led to the suffering of Flint in the first place. The city’s residents are mostly African-American and more than 40% of them are poor, meaning that they’re as far as can be outside the Republican Party tent. Many reasonably believe that this (along with the standard inertia and reluctance to admit fault common to large institutions) is what led the state government to ignore, downplay and marginalise the legitimate fears of residents, even as evidence mounted and the urgency of the situation became clear. Put simply, if the same circumstances had affected a whiter, wealthier area, there is little doubt that the response would have been very different. For the Democrats, the African-American vote is a decisive part of their coalition at state and national level. Indeed, Clinton’s ability to win large majorities of black primary voters is the single largest factor driving her lead over Bernie Sanders in the contest. Both Democrats know they need voters like the African-Americans of Flint to win the nomination, and that whoever runs in the general election will need high turnout among that group to prevail. Republicans, on the other hand, have all but written off any prospect of winning many votes from that demographic quarter. With the exception of Snyder, scrambling for his political survival, they feel no need to appeal to such voters or engage directly with their concerns. Such is the polarized politics of 2016 America.